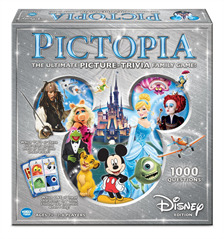 Discover playful trivia spanning decades of Disney magic, from animated classics and blockbuster movies, to television hits and dazzling theme park destinations. It's a game of teamwork--with a competitive twist! Along the way, are guess-my-answer questions that reveal how much you know about the other players! 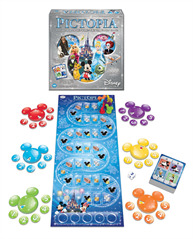 We love a game the whole family can play together... and since our nieces and nephews often know more about Disney characters and movies than we do, they may even let you win. Wink wink.